Pump Out Boat Sign. Various colours available. These signs may be stuck or screwed for fixing, and are available with a screw hole in each side if required. 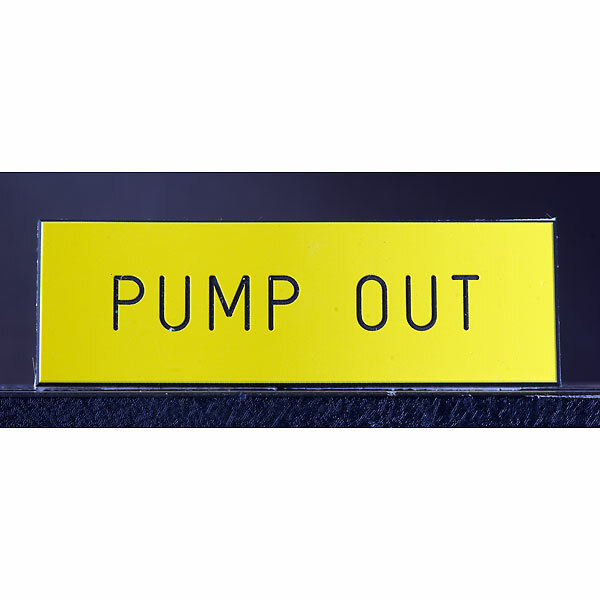 This standard pump out sign qualifies for free postage, if bought on its own or with other boat signs withe free postage.